Enjoy tasty fish and chips, salads and sandwiches here. If you are ever in South Coast Metro, check out their other location in Irvine. 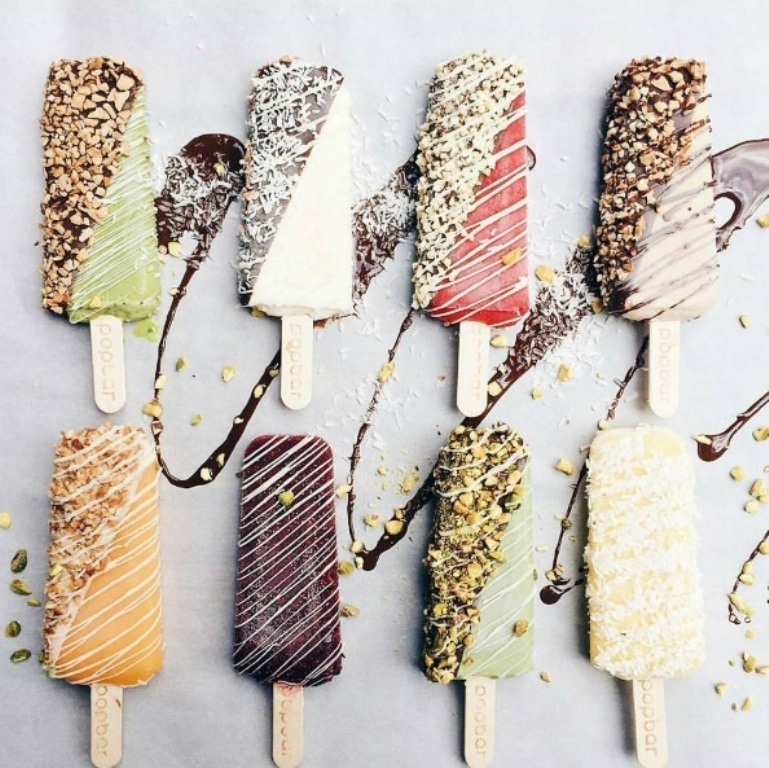 Get a gelato, strawberry or yogurt iced pop on a stick with the topping of your choice at this ice cream bar concept. It is a great relief on a hot day. Build your delicious frozen confection at the Anaheim Packing District’s Pop Bar. Image from the Anaheim Packing District Instagram. Sushi and ramen await the visitor at Orange Tei on the upper floor of the Packing House. The delicious smell of freshly-cooked ramen fills the air. Every weekend, live music at the Mezzanine Stage is all the more reason to visit. Musical artists of every stripe perform here – and they appreciate your tips. A display on the upper level near the east entrance showcases the process citrus and other foods take from grower to the dinner table. A plaque at the entrance on Anaheim Blvd. notes the district’s status as part of the National Register of Historic Places. 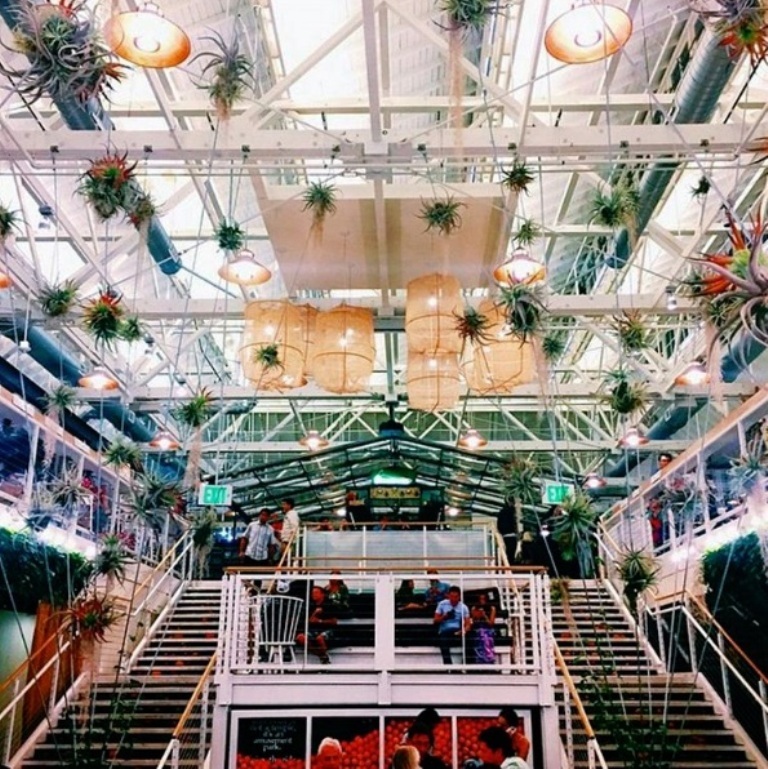 The interior of the Anaheim Packing District is an experience for the senses. Image from the Anaheim Packing District Instagram. Between the Packing House and the Packard Building is Farmer’s Park. It is a great place to relax in the shade or try your hand at the outdoor ping-pong table. Built in 1925, the Packard Building spent years as a car showroom. Now it houses Umami Burger and Anaheim Brewery. The interior is true to its heritage with repurposed license plates. 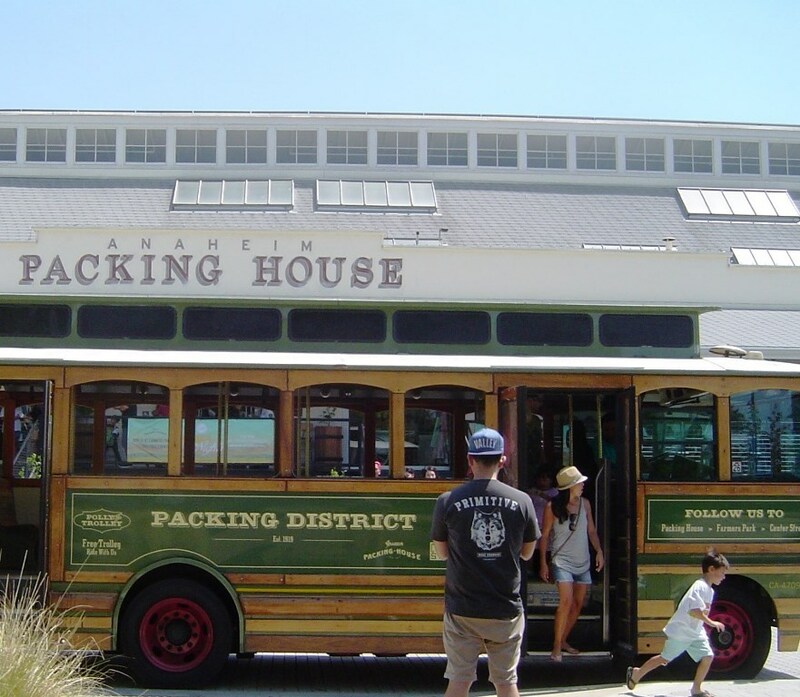 Running noon to 9 p.m. Friday through Sunday, the trolley takes the pain out of parking by shuttling visitors to and from the parking structures on Center Street Promenade. It’s free and runs every 15 minutes. Riding the free trolley may make you feel like you’re in San Francisco or San Diego, but the summer heat and humidity will remind you that you are in inland Orange County. Photo by Daniel Coats. Downtown Anaheim offers a farmer’s market on Thursdays from 11 a.m. to 4 p.m., has a public ice skating facility that also doubles as the training center for the Anaheim Ducks, and hosts various traveling art and cultural exhibits at the Muzeo Museum and Cultural Center (open Tuesday through Sunday from 10 a.m. to 5 p.m.). Plus, there are many shops and restaurants, all within a very walkable few city blocks. The Packing House opens daily at 9 a.m. for breakfast. Individual restaurant hours vary, though bars remain open until midnight. There is free admission. The easiest route to take from campus is to head west on Chapman Ave., toward Downtown Fullerton, and then take a left (south) on Harbor Blvd. Take a left (east) on Santa Ana Street and you will be at the district. For more on getting there, check it out on Waze.